While you can overcome some of these problems to prevent malocclusions, you can avoid having some types of misaligned teeth. Fortunately, it is possible to repair your crooked teeth with the help of a great dentist. Here are some of the ways to fix your dental malocclusions. If you have a genetic abnormality that involves something on the face, then it is often repairable with surgery. Dentists and other medical professionals can work together to fix cleft palates or lips along with jaw or chin problems that affect the teeth. If someone has too many teeth for a small mouth, then extracting the extra teeth is necessary. It is important to remember that dentists avoid removing healthy teeth unless it is absolutely necessary to fix a bite and a smile. Dentists prefer finding a way to shift extra teeth into a better position rather than removing any teeth. When you grind your teeth, it can shift the teeth into a different or incorrect position. It is essential to protect your teeth from this problem by wearing customized dental splints while you are sleeping. In addition, you should learn relaxation techniques so that you won’t grind your teeth during the day. In some cases, a dentist can make your smile look beautiful by using dental restorations such as thin porcelain veneers on the teeth toward the front of your mouth or customized dental crowns on the teeth toward the back of your mouth. Dental appliances can also help you to have a normal smile. With partial dentures or a dental bridge, a dentist can fill the gaps between teeth. Alternatively, you may want to have dental implant surgery to have a more permanent solution for having missing teeth. Filling in the gaps between the teeth in your mouth can prevent crooked teeth by providing support for the surrounding teeth. If the roof of your mouth is too small, then a dentist can place a palate expander in your mouth. With a larger palate, it is possible to have more space for any teeth that are out of the correct position. Palate expanders are used on children and teenagers before they begin other treatments for dental malocclusions. When the jaw isn’t in the proper position or is the wrong size, you can wear headgear to fix the problem. This type of treatment for dental malocclusions typically begins during adolescence, and in some cases, the patient only needs to wear the headgear at night and during the weekends. Adults and teenagers with mild to moderate dental malocclusions can wear clear plastic aligners to repair a bite or smile. These devices are removable so the patient must follow the dentist’s advice concerning wearing the devices for 23-hours a day. A patient will receive 20 to 30 sets of aligners, and each set is worn for two weeks. Each set of plastic aligners will push against the teeth to correct the dental malocclusions. Wearing braces is the most common way to repair misaligned teeth, and it is the best treatment for children with dental malocclusions. 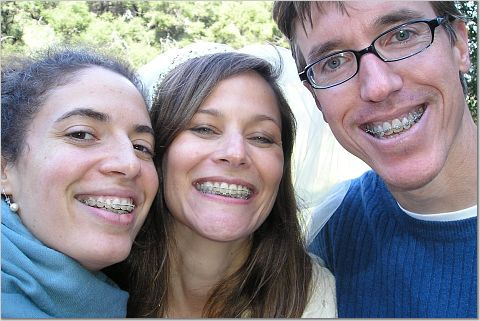 There are several types of braces available, including the traditional metal devices. However, you can also choose lingual braces that have brackets that are worn on the backs of your teeth. An additional nearly invisible type of braces is the type made with ceramic brackets and clear wires. When you want to reduce the number of times required for tightening the wires, you can request self-ligating braces that have special brackets. When you live in or near Phoenix, you can find a friendly dentist in your neighborhood who can examine your teeth to find a solution for your dental malocclusions. At Imagine Dental Ahwatukee or Imagine Dental of Central Phoenix, we can find the best way to repair your teeth so that you have an attractive smile and strong bite.